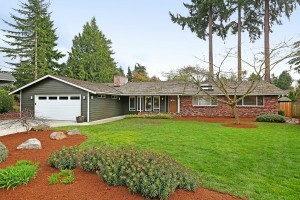 I’ve been honored to work recently with two clients who wanted to sell their rambler style homes on Mercer Island. I’ve fallen deep for this kind of home. Ramblers possess good flow from room to room, supporting the ability to reside in casual elegance throughout all the spaces. 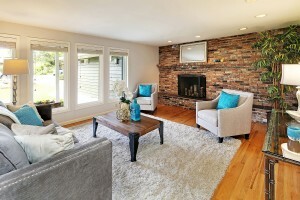 Ramblers on Mercer Island often have vaulted ceilings, which give such an airy feeling to the main living areas. And the generous windows bring in so much light. 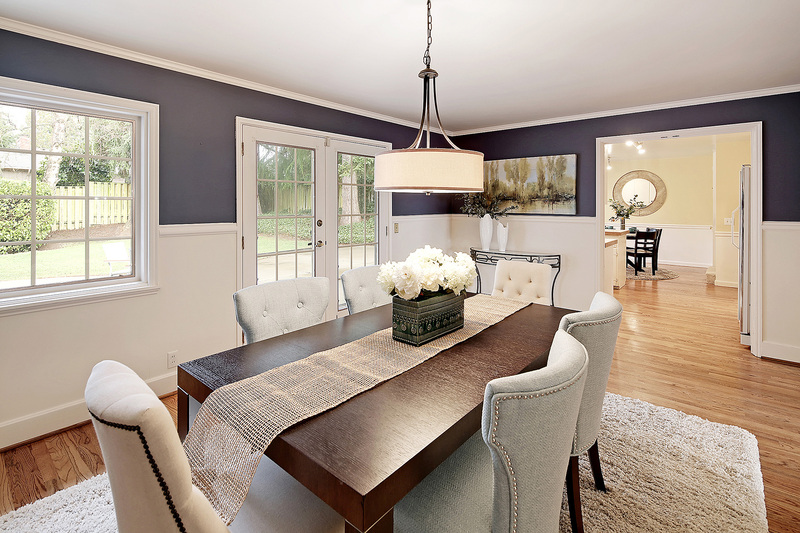 This light, it’s the icing– it makes the rooms feel warm, inviting and homey. I’d like to share with you a bit of history about this style of house. It’s pretty fascinating, especially since the popularity of one level living is quite high again in our current housing market. I think it is so cool how what was in vogue over 50 years ago has gain so much appeal again today. The one-level living of a rambler, or ranch-style house, was all the rage for over 40 years, from the 1930s to 1970s. Ramblers were often nestled into tract-style suburban neighborhoods, ready for returning WW2 and Korean war veterans and their newly formed families. Casual living coupled with an outdoor connection to a private backyard space were the cornerstones of rambler homes. Two car garages became the suburban standard for these homes, as workers commuted by car to work in nearby metro areas. Both the Prairie Style homes designed by Frank Lloyd Wright and the casual pre-WW2 Bungalow style influenced the design of the rambler. Architect Cliff May is credited with building the first rambler home in San Diego, CA back in 1932. Due to the simple nature of the house design, where three key principles of livability, flexibility, and unpretentiousness were reflected in the plans, the rambler was both economical to build and purchase. Decorative finishes were kept at a minimum. This low-key mindset evolved into the sleek, modernist vibe of the mid-century modern rambler that took hold of the new construction scene during the 1950s and 1960s. With the rambler’s roots planted in sunny California, the thought process behind the design was to let in much natural light and establish a notable connection to outside. The use of large sliding glass doors that led to a backyard patio is a standard element of a rambler. This style was the first widely-produced design where the outdoor space was considered part of the home. The home design’s connection to nature has helped contribute to the resurgence of popularity of the rambler for today’s homebuyers in our region. 1st time homebuyers with growing families enjoy the outdoor spaces included with the home, and are drawn to the cool mid-century aesthetic so many Seattle area ramblers possess. Downsizing Boomers like the one-level living option ramblers provide that will support aging-in-place. Ramblers have minimal stairs, with most (to all) living areas residing on the one level. I love how the generous lots ramblers are situation on provide the space to add shed-style small spaces that are so popular right now. My new mid-island listing on Mercer Island has a playhouse shed my clients converted into a meditative workout spot. They call it the “Zen den.” How neat is that?! Now it’s your turn. If you love the rambler style home as much as I do, let me know what parts of this design style grab you the most. Please share in the comment section!